The Ross Foundation began operation in early 1967. 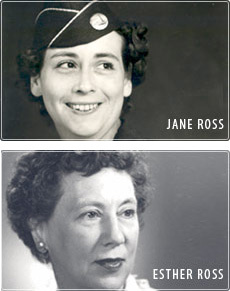 It was founded by Esther Ross and her daughter, Jane Ross. Its initial endowment came from the estate of Esther’s father and Jane’s grandfather, J.G. Clark. From the original core lands used to endow the Ross Foundation, the Foundation has grown to approximately 63,000 acres of land, primarily situated in Clark and Hot Spring County, Arkansas. These lands are held for conservation and charitable purposes. Through the use of good forest management practices, revenue is produced and used to fund the Foundation’s philanthropic grants program. Jane Ross, Robert C. Rhodes and H.W. “Bill” McMillan served as the Foundation’s first board of trustees.